Google's self-driving car program has been one of the company's most visible and high-profile "moonshots" over the last few years. 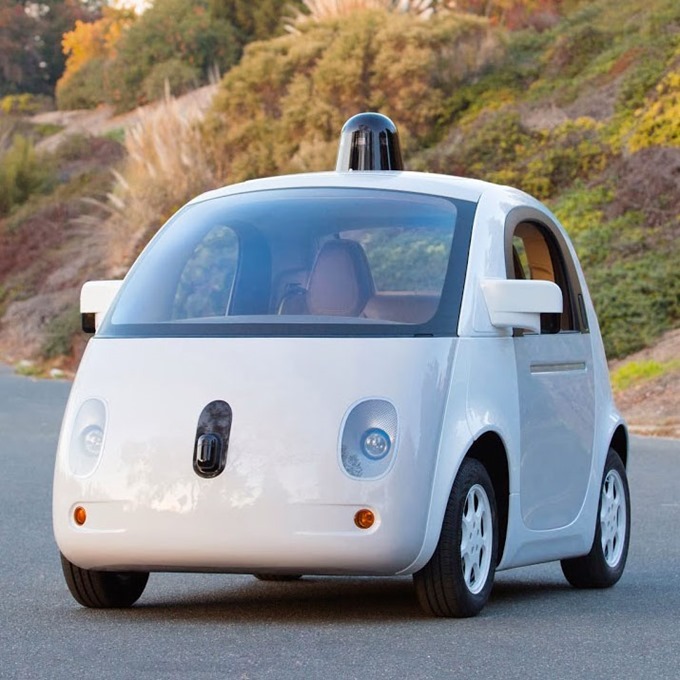 When Google showed off the primary development stages, the self-driving vehicles were basically production cars (like the Toyota Prius and Lexus SUVs) stuffed with huge amounts of robotics, communications, and processing equipment. 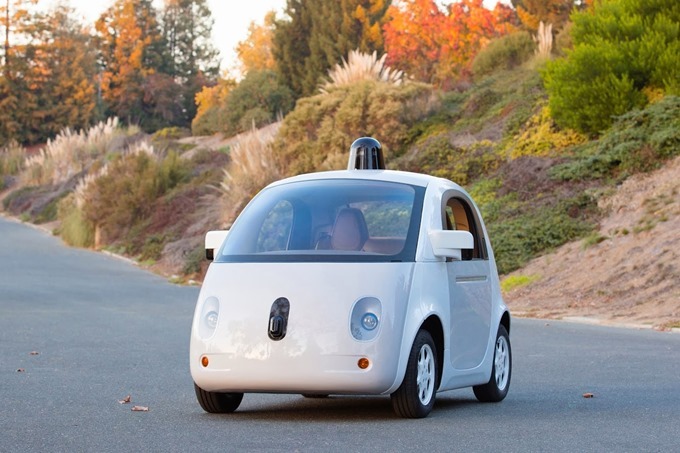 Now the first self-driving "Google Car" prototype, built from the ground up to demonstrate the autonomous system, is complete and ready to roll out. Google has been working on this unique prototype since before May of this year. The company plans to test its curvy new vehicle on an official Google test track, followed by tests on public roads after New Year's. This car is not a conventional vehicle with a self-driving system added on - it has no direct control system for a human driver (though manual controls will be installed temporarily for its first set of tests). It's more or less a box that drives two passengers around. An earlier concept (note the decorative headlights) and an artist's representation of the final version. The integrated systems create something that could be confused for a SmartCar, if it wasn't for the array of cameras and sensors poking out of the top. Even this array is considerably streamlined compared with earlier versions of the vehicle and with the testing rigs that have been seen in the San Francisco Bay area and elsewhere. The completed vehicle complies with all necessary equipment and safety standards... including headlights, which were apparently only decorative before. Google's connected driving and navigation system can "see" and respond to the environment for 200 yards in all directions. According to previous blog posts from Google, the company plans to build about a hundred of these prototype vehicles, with a full testing program expected to take about two years.